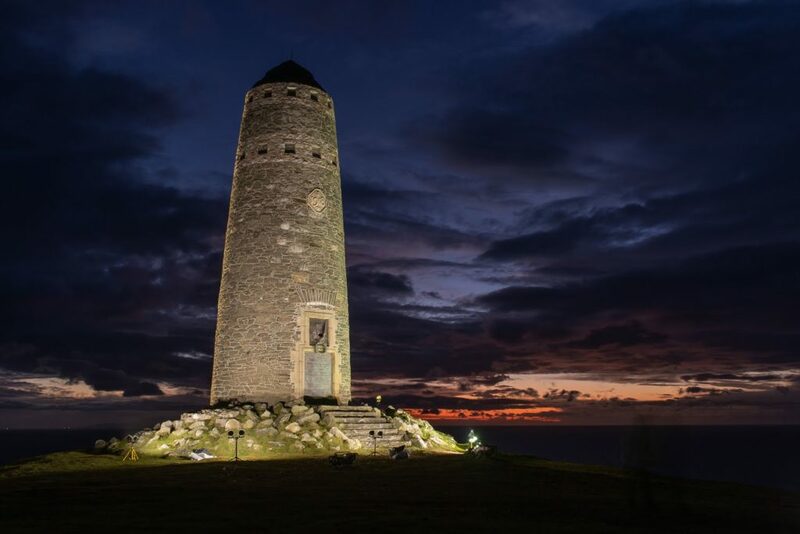 On the evening of Sunday November 11, WW100 Islay and Islay Communtiy Council, working with the RSPB, the Coastguard and local business MacEachern Bros, lit up the American Monument at the Mull of Oa. The monument was built in memory of the American soldiers who lost their lives in the SS Tuscania and HMS Otranto troopship tragedies in 1918. Armistice Day on Islay began at 6am with pipers playing in Bowmore and Port Ellen. Each church on the island held their services of remembrance and at 2pm members of the community gathered at Kilchoman Commonwealth War Graves cemetery for a further service of remembrance. These acts of remembrance drew a fitting close the commemorations held on Islay in 2018.